Normally, I write about funny and humorous things in my travel. But I have used the taxi, train and bus rides here in Beijing. The train and bus are ok. But the taxi is a different story. I arrived last night and temperature was -5 and feels like -7. I was so cold and hurriedly boarded a taxi. I was charged 350 (should only be 150-180 Yuan). Following day, I got lost and taxi was charging me 200 Yuan. Found another and was charged only 20 Yuan. Going home after watching a show, I was charged 300 Yuan. After exchanging harsh words, I paid 70 Yuan. In case you are wondering, 100 Yuan is Php800. 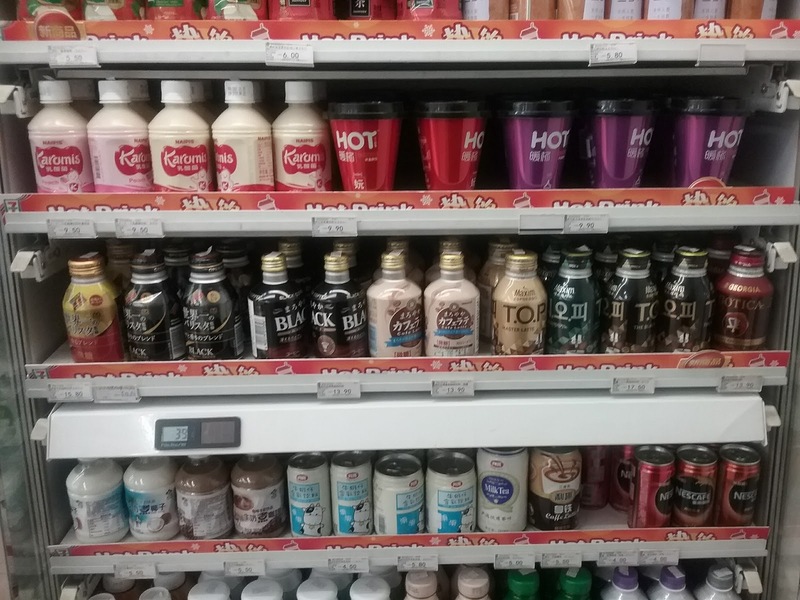 I was in 7-11 Beijing, I normally buy coffee in Manila either in 7-11 or Mini Mart. I was roaming around looking for coffee. The staff noticed I was looking for something. He spoke in Mandarin. Again, what am I? Japanese? Korean? Now Chinese!? Staff escorted me to the shelf and was pointing to a coffee beverage. Staff touching it and showed me to touch it. Me: IT IS A MIRACLE! And I touched all just to be sure! Eksena sa Beijing No. 3Afraid but not anymore! 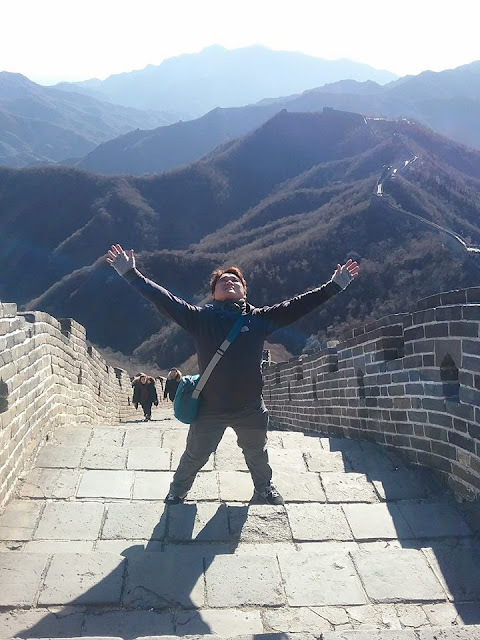 Climbing the Great Wall at a temperature of -12 (feels -15) is something. It was an uphill climb and we are suppose to reach Tower 20. I was only in Tower 18 and I was already exhausted. I am 43. Fat and not fit to this challenge. I felt anxious and perplexed. What if I something bad happens to me out here. I got separated from the group. Then while walking, I read the sign! 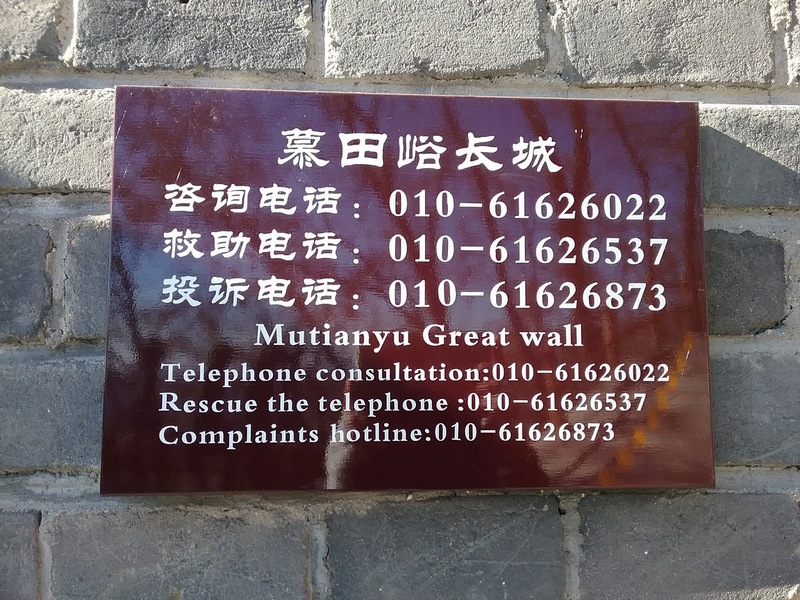 They even rescue telephones here! I was rushing towards the toilet since the Kung fu show was about to start and I had to answer a call of nature. 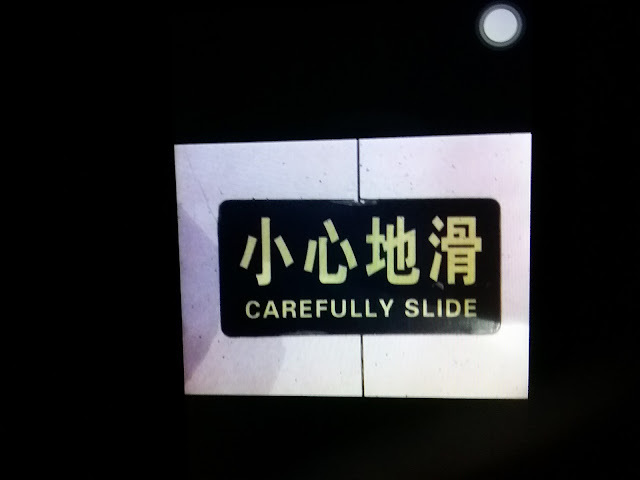 Entering the toilet, I read a sign which says - "carefully slide." The question now is should I proceed with caution or follow it and slide carefully!? I had a hard time listening to my tour guide today. He speaks good English. But he speaks long and because of that the saliva accumulates at the end part of his lips. And sometimes it dries up! Worst! It rains every time he speaks! This is IBM! I tried evading the missiles! It was a good exercise though. I did this without offending him. I was very polite (there were times I was about to give him a tissue). Moral of the story: Always bring an umbrella! Alam mo yung bago ka umalis ng Pinas, inayos mo lahat. Nag iwan ka ng focal person to supervise, decide and implement. It turned out na while here in Beijing you still have to run the show. Pag ikaw nasa bakasyun tinetext, tinatawagan ba kita or may pumapalpak ba!? Eksena sa Beijing No. 7It's FREE! Or is it!? Today's tour is probably the best in Beijing! It is the City Tour! First stop was the Forbidden City and then the Medical Center. 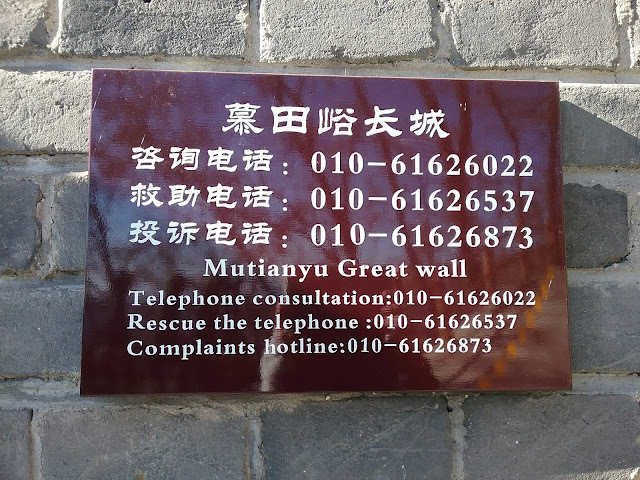 Before arriving at the center, our tour guide was bragging that we will get "FREE MASSAGE" and we can give optional tip ranging from 20 to 30 yuan, if we would like to give one. We were also told that we will have free diagnose of our ailments using Chinese traditional medicine. And we arrived at the center, while having our free massage, a bunch of doctors entered the room and the free diagnosis started. Yup, we were told of our ailments and we were also told to buy the prescribed medicine otherwise our ailments will persist and get worst. I was supposed to feel better and get cured. Instead, I almost FAINTED and DIED upon hearing the price of the medicine. It costs P5,000 per box and I have to buy 2 boxes! The masseur was applying his finishing moves and he said, "Finished!" He was staring at me and I stared back and said thank you in Chinese. I thought it was FREE!? My flight back to Manila was slated 1:10 am but my last tour ended early around 5pm and after taking dinner I went directly to the airport. I passed immigration, bought my favorite perfume and was proceeding to the boarding gate. I was already hungry. I tried to find a vending machine for water and food. I was able to find one. There was this woman with her child trying to buy from the machine but all her money was rejected by the vending machine. There were people seated who were watching the scenario. She signaled that I can use it. And so I did, the water and the wafer came out. After getting it, she again tried but it was a futile effort. I then approached them and offered my help. Still the money was rejected. I can see from the look of the eyes of the child that she was already hungry. I said goodbye with a heavy heart that I was not able to help them. As I was walking away, I can see the child craving for food. The mother was helpless and forlorned. I went back and got an idea. I noticed that all the paper bills of the mother were either folded or crumpled. And so I talked to the mother and said that I will change her folded money to my money. She agreed. And the vending machine worked. She got the food and I smiled and walked away. She signaled for the change of our money. I replied that it was nothing. And said that it was ok.
She insisted but she was not able to find 10 yuan. She has 20 yuan. Again, I said itwas ok and signaled that I will be leaving. She insisted to give me the 20 yuan. And she smiled and the child was now eating the food. I accepted the 20 yuan and turned my back and saw the reaction of the people seated, they were smiling at me and one of them gave me a thumbs-up sign. It felt good this time leaving the mother and the child.